Mossy Oak Properties started as a single real estate office in Livingston, Alabama in 1999. One ad sparked quick interest in what is now a network of offices nationwide. That network was established in 2002. 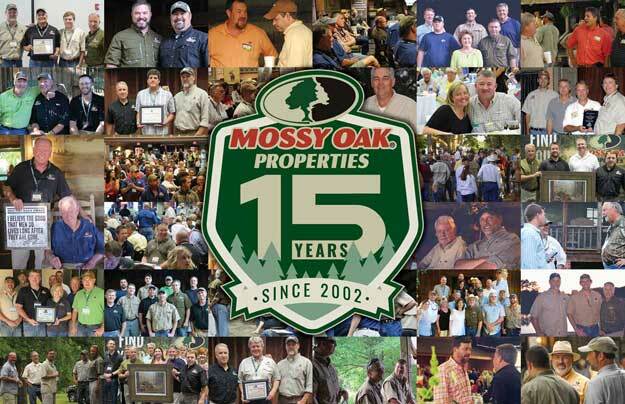 This year, the Mossy Oak Properties Network celebrates 15 years. This is the story of its start and what has attributed to its success through the years. It was early 2001, but Chris Hawley clearly remembers his confusion as he glanced down at his old-fashioned answering machine and saw the number 65 on the screen. “I thought the power must have gone off,” recalls Hawley, who two years prior had launched a new rural land brokerage concept called Mossy Oak Properties with his close friend Toxey Haas, founder of the Mossy Oak. Hawley and Haas had been close friends for nearly two decades before they decided to pair Hawley’s land brokerage background with the powerful Mossy Oak brand and opened the first Mossy Oak Properties office in Hawley’s home office in Livingston, Alabama. The local response was immediate, but the duo was not entirely sure they wanted to expand outward. The ad that changed all that - a simple picture of a buck rub with a note saying “for sale” - was as subtle a call to action as you could possibly get. The reaction was not so subtle. It seems so many of life’s important conversations happen on the back of a truck tailgate. For Rick Taylor, a forester and real estate broker from McComb, Mississippi, a hot summer day in south Mississippi was the setting for a question that changed his life. In September of 2002, Taylor and his wife Tammy became the first Mossy Oak Properties franchise owners, armed with little more than a brand and a promise from Hawley that he would make good on their faith in the fledgling company. 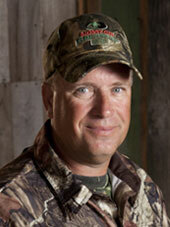 The official launch of the Mossy Oak Properties franchise was planned for early 2003. The company had been sending out promotional information to brokers in the Deep South in advance of the launch. By the fall of 2003, a dozen land brokerages had signed on as franchisees. The rural land market across much of the country was on fire, and the confidence level across the growing Mossy Oak Properties network was in another orbit. Then came the Great Recession. 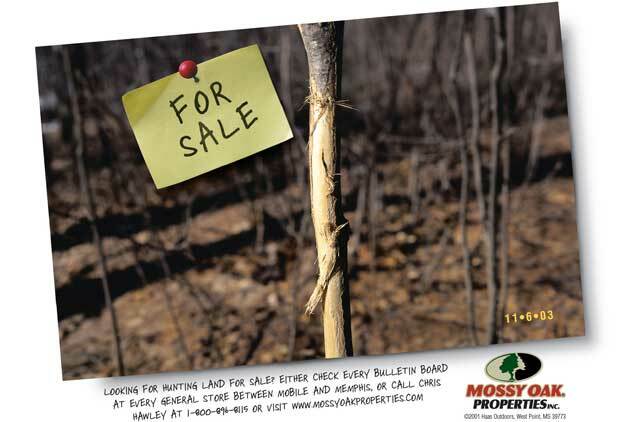 As the economy began to turn around, the Mossy Oak Properties network began to really hit on all cylinders. Transactions went from less than 300 network-wide for 2009 to over 800 in 2012 and over 2300 for 2016. The network began to expand into western states, and opened offices in Alaska in 2012. Currently, there are Mossy Oak Properties franchises in 26 states. The company is poised to eclipse 100 offices before the end of 2017. 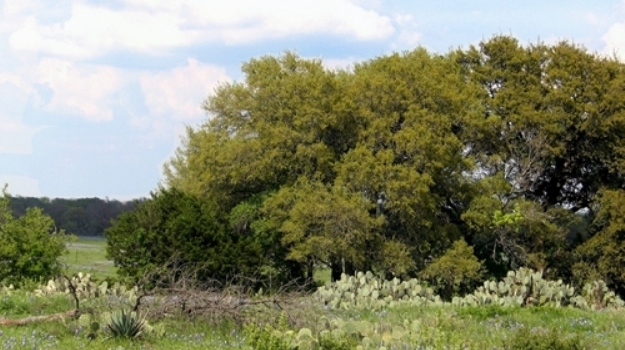 Over 650 land specialists fall under the Mossy Oak Properties umbrella. The Mossy Oak Properties network closed over 2300 transactions, totaling in excess of $500 million, in 2016. Yet with all the growth, Hawley said he is most proud of one thing. Now 87, Mr. Fox moves as slowly as his deep coastal drawl (he grew up in Mobile), but what he says sets the tone for the entire Mossy Oak enterprise. 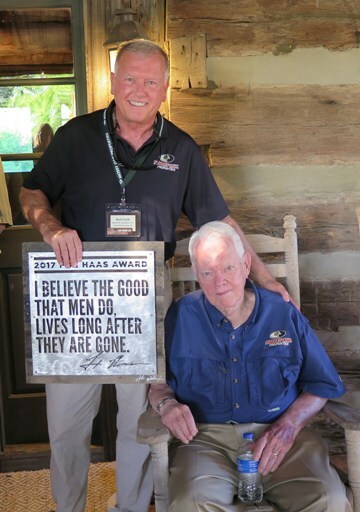 At this year’s Land Summit, an award in Mr. Fox’s honor was given to Bud Cook, a Mossy Oak Properties broker from eastern North Carolina. Cook, who had been nominated by his peers, was emotional after winning the award. He had his picture taken with the namesake of the award. Others in the crowd had to fight back lumps in their throat. Hawley says his guiding principle in decisions about the company is always “what is best for the Mossy Oak Properties network.” That mantra is probably the reason for the low turnover the company has experienced in a notoriously high turnover industry. The company has renewed nearly every franchise agreement that was eligible. Roughly half of the franchise growth over the past five years has been from current franchisees expanding their operations. 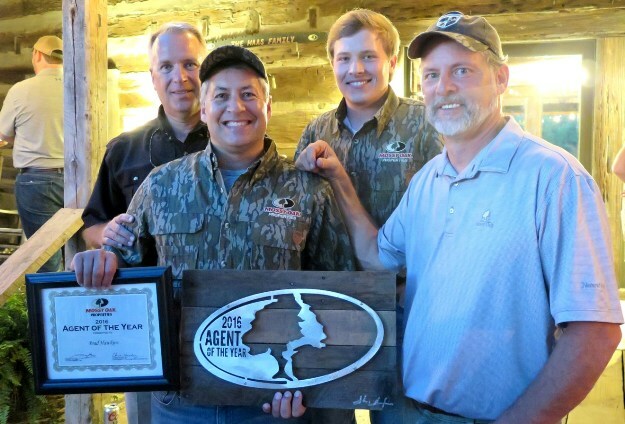 The model is working, according to Ohio’s Brian Bauer, who joined Mossy Oak Properties as franchise owner in 2011 and has, along with his wife Jenn and a dedicated team of land specialists, racked up Office of the Year honors for 2013 and 2014. 4,000 miles away from Ohio, in Alaska, the sentiment is the same for Kathy Chircop. She recently sold two of her three Mossy Oak Properties franchises to one of her agents, allowing her to target two more franchise openings in the next year. On the last morning session of the 2017 Land Summit, Hawkins tells a story of how he represented a single property four different times. The moral of the story, relationships matter. As the company celebrates 15 years and looks forward to the next chapter in its already storied history, Hawley says the thing he looks forward to the most is watching new faces come into the network and witnessing their success. For more information on the Mossy Oak Properties land brokerage network, please visit www.mossyoakproperties.com or call 1-662-494-1243. 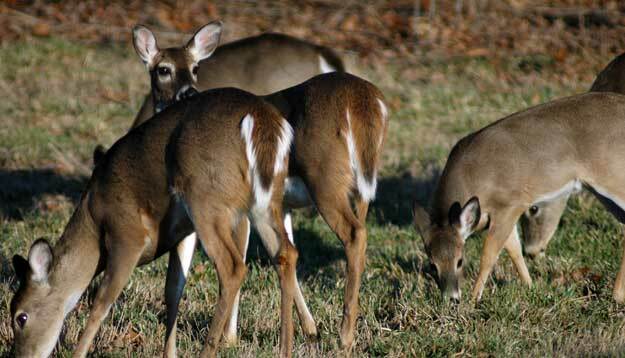 Wildlife management programs are long term undertakings. We've been increasing food and habitat for our wildlife and doing what we can to improve our property each year for more than 20 years. Our guiding light for improving our lands for wildlife has been being a part of the Mossy Oak GameKeepers Club. Mossy Oak Properties, Inc. is pleased to announce that Jeramy Stephens, responsible broker of Mossy Oak Properties of Stuttgart Land and Auction in Stuttgart, Arkansas (pictured) received the national “National Agent of the Year” award, and Mossy Oak Properties Delta Land Management in North Little Rock, Arkansas won the “Office of Year” award at the company’s recent Land Summit, held June 5-6, 2013 in West Point, Mississippi. Sunday, Jan. 29, marks Ducks Unlimited's (DU's) 80th anniversary. Started by a small group of sportsmen on a mission to save North America's waterfowl populations – and the continent's strong waterfowling traditions – DU was founded in 1937 during the Great Depression and one of the worst droughts in history, far from ideal circumstances for an organization in its infancy.